With this guide, find your way effortlessly around the vast countryside and inspiring cities of Germany. Explore the vibrant center of Berlin, wonder at the stunning beauty of Bavaria, or uncover the compelling history of Saxony. 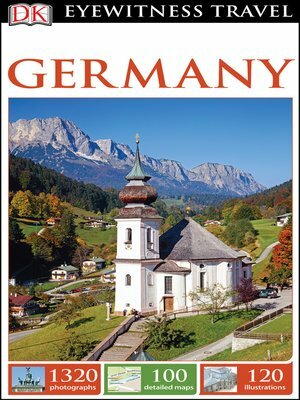 Covering every part of the country in detail, the guide is broken up into sections-Berlin, Eastern Germany, Western Germany, Southern Germany, and Northern Germany-and is packed with itinerary suggestions, restaurant recommendations, and handpicked hotels. DK Eyewitness Travel Guide: Germany is the perfect companion for an exploration of this dynamic and diverse country. With hundreds of full-color photographs, hand-drawn illustrations, and custom maps that illuminate every page, DK Eyewitness Travel Guide: Germany truly shows you this city as no one else can.